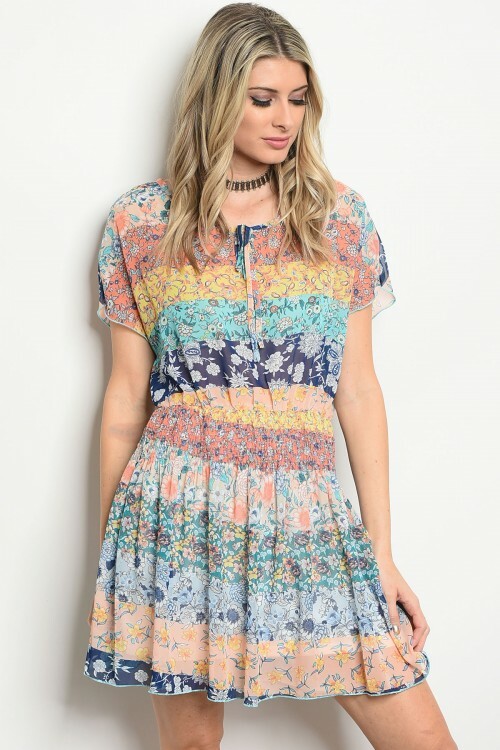 This delicate floral dress is made for romantic walks and late night dinners with your significant other! We are in love with the dainty floral print in multi shades of blues - it's so beautifully elegant! The material is lightweight and so easy to love wearing all day long! This dress features round neck and tie front at the waist!